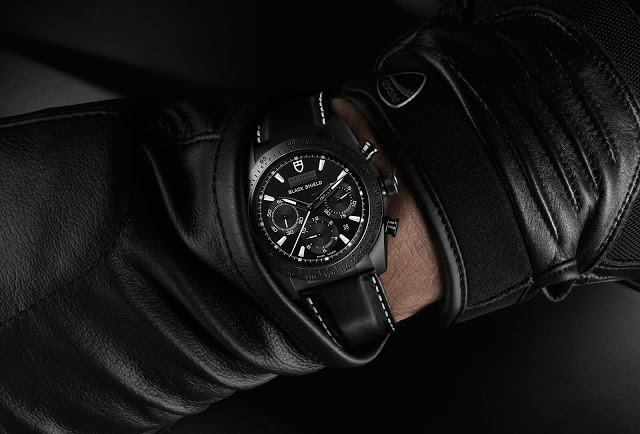 Tudor has just unveiled the latest version of its black ceramic chronograph, the monochromatic Fastrider Black Shield in black and white, inspired by the Ducati XDiavel motorcycle. 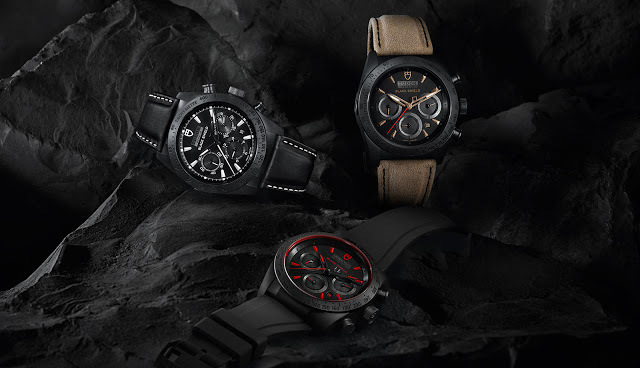 Characterised by its one-piece, black ceramic case, the Tudor Fastrider Black Shield was originally introduced in 2013, with red or khaki accents on the dial. 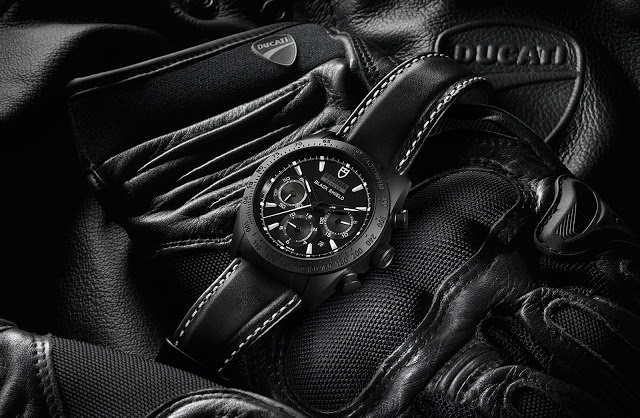 Now with the launch of the all-black Ducati XDiavel cruiser, Tudor has stripped all the colour from the Fastrider Black Shield to match, leaving it stark in black and white. 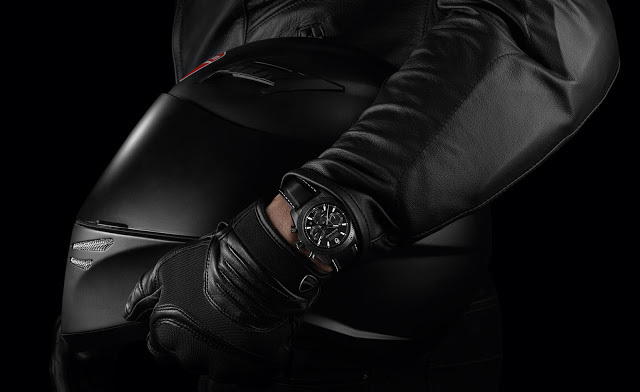 The new Fastrider Black Shield is as functional and fuss-free as a chronograph modelled on a motorcycle can be. 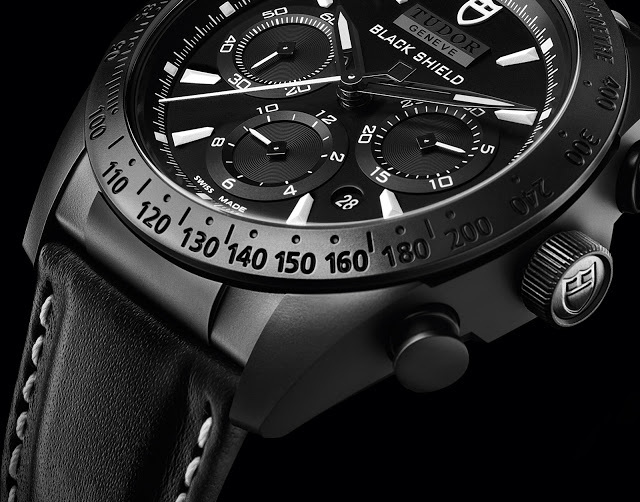 While the design is almost identical to the other Fastrider chronographs, including the steel model introduced at Baselworld 2015, the new black and white version looks distinctively different. Though the dial has a larger logo at 12 o’clock, it conversely seems less cluttered because the dial has no colour. The 42mm matte black ceramic case is matched with a matte black dial that has the hour markers and hands highlight in flat white. Made via a process known as sintering, where ceramic powder is heated in a mould to create a dense and strong mass, the case and bezel are a single piece. 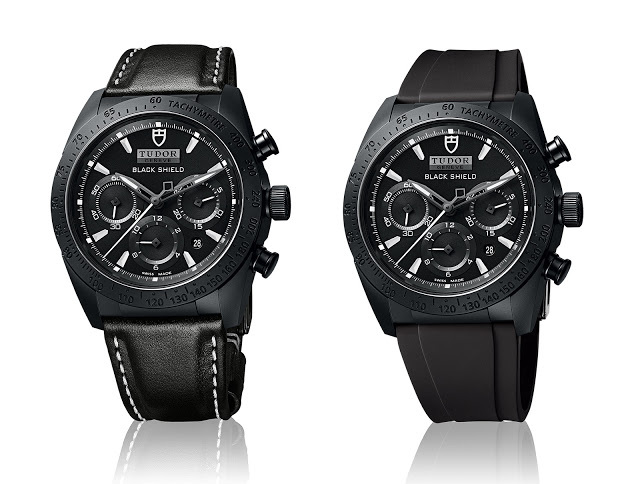 The crown and pushers are in black-coated steel to match the ceramic case. Inside the ceramic case is a Valjoux 7753, meaning it is robust, reliable and easy to service. It’s self-winding with a 46-hour power reserve. The Fastrider Black Shield is water-resistant to 150m and available on a leather or rubber strap, both paired with a matching black coated folding buckle. It’s s priced at exactly the same as the existing models in the range, which is US$4925 or €3250.